Cellular Total-Lift Concentrate combines the power of 12 highly active concentrates in the ActiveCells 12 complex. Its remarkable texture has an instant firming and lifting that leaves the skin supple and elastic bringing absolute comfort. The 12 powerful stem cells actives help reduce fine line and wrinkles. 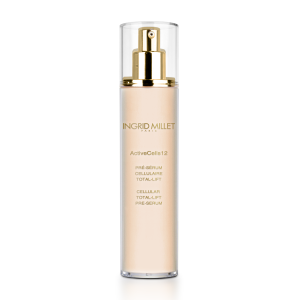 Highly concentrated lightening actives BRIGHTEN the skin, CORRECT redness and UNIFY the complexion by eliminating dark spots. Ingrid Millet has created ActiveCells 12 Complex, a breakthrough in Swiss biotechnology. The rich and luxurious Cellular Total-lift Cream combines the power of 12 highly active concentrates from plants and advanced technology lightening agents. 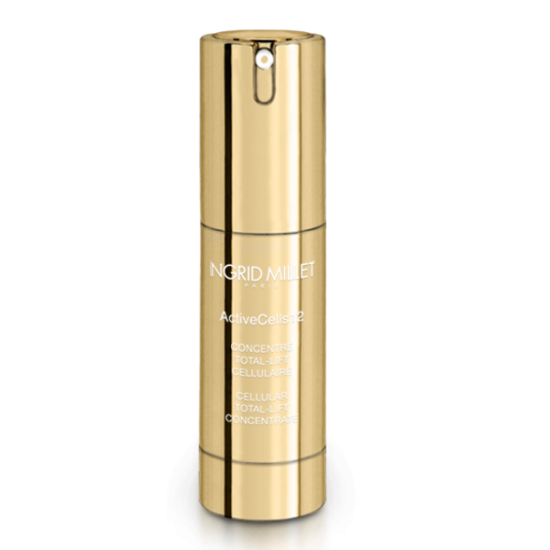 The cutting-edge formula helps repair, regenerate and rejuvenate the skin, reinforces the cells resistance to external aggressors, helps reduce dark spots and prevent their appearance. This skin rejuvenating formula brings profound age defying benefits. Skin feels smoother, more hydrated and refined, for a more sculpted, radiant and youthful look. Apply morning and evening all over the thoroughly cleansed face and neck, avoiding the area around the eyes. 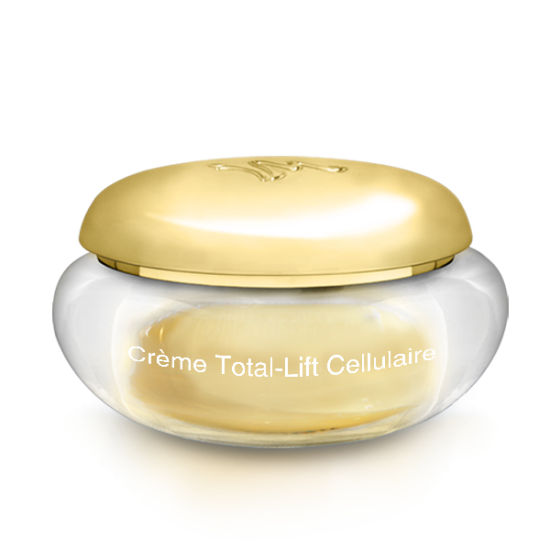 For the best effectiveness , use after Cellular Total-Lift Concentrate. A breakthrough in Swiss biotechnology, ActiveCells 12 combines the power of 12 highly active concentrates, minimizing fine lines and wrinkles and redefining the eye contour, leaving this fragile area smoother and stronger. 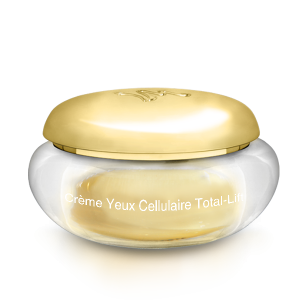 The luxurious, rapidly absorbed Cellular Total-Lift Eye Cream helps reduce puffiness and restore suppleness. 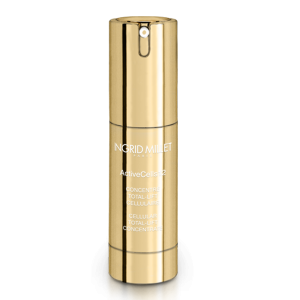 The advanced lightening agent brings profound age defying benefits, leaving the eye contour brighter, smoother and more lifted. Apply morning and evening all over the thoroughly cleansed face and neck, avoiding the area around the eyes. For the best effectiveness, use after Cellular Total-Lift Concentrate. A breakthrough in Swiss biotechnology. A concentrated splash of energetic coolness and nutrients in an essence-in-lotion formula, much more than a classic tonic-lotion, this new and sophisticated Cellular Total-Lift Pre-Serum primes skin to enhance the effects of all other products. It helps fight signs of ageing, hydrates, protects and the complexion instantly becomes fresh and luminous.